This is a YouTube playlist of audio and video clips of songs from Kohuept (1987) and A Matter of Trust (2014). Click on icon in upper left of video for playlist. Billy's historic concerts in Leningrad and Moscow in the summer of 1987 were captured, in part, on the live album KOHUEPT (Russian for "concert" and pronounced "consyert") released later that year. The selection of certain songs, such as "Allentown" and the covers of The Beatles' "Back In The USSR" and Bob Dylan's "The Times They Are A-Changin," was appropriate, keeping in mind that this was not a live recording of a single concert. The concerts were historic as Billy was the first western rock star to play in the Communist Soviet Union. For decades, the Soviet Union was seen as the United States' primary enemy in the Cold War. But Billy's tour and the media coverage surrounding it, helped de-mystify our "enemy." “I just thought it was very important for Americans to see what happened,” Billy said years later in a documentary. “People forget how tense things were. We were all in terror that we were gonna get blown up by ‘the Evil Empire.’ The minute I got there I recognized [that] people like us — they’re not my enemy — and the Cold War kind of ended for me.” The Cold War did end several years later under Perestroika. The tour and Billy's friendship with a fan, Victor (who was a circus clown), also led to his song "Leningrad" on the Storm Front album. Something, however, is missing from the performances or at the least this recording of them on Kohuept. They do not have the energy and vitality that 1981's Songs In The Attic had or 12 Gardens Live would have years later in 2006. A few songs like "Angry Young Man" sound great, but several others seem heavy and tired compared to their studio versions or other live versions. 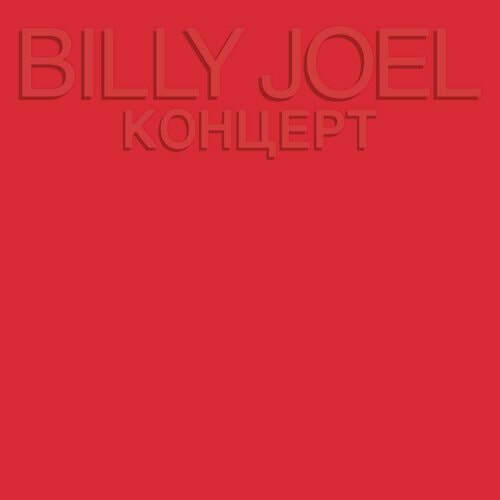 As a recording of a historic event, KOHUEPT works well, but it's not Billy's best live album, nor does it work as a greatest hits from the time (1987). 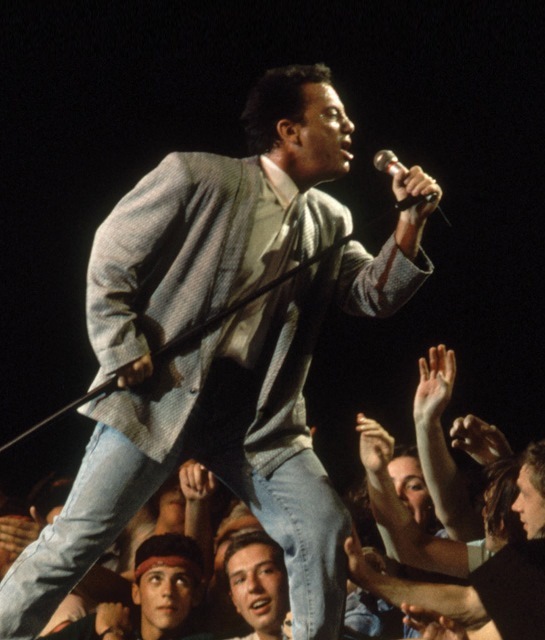 This album is for the Billy Joel fan, rather than the general public. Billy gave energetic performances, but apparently had been battling a severe sore throat and must have been tired from the travel. 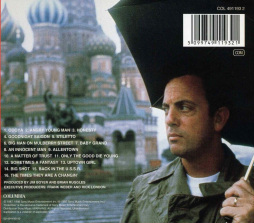 (UPDATE: According to the Fred Schruer's biography on Billy Joel, Billy and the band had just come off the European leg of their world tour and were tired, and in Russia they had the added chore of giving many media interviews while preparing for the concert). The album also did not have much in the way of liner notes, which is a shame given the historic nature of the concerts (at the time no major U.S. rock or pop star had toured in Russia). Fortunately, the concerts and Billy's tour were each made into videos released in 1991, "Live in Leningrad" and "A Matter of Trust." See the Videos & DVDs. The latter is a very well-done documentary about the tour, but the concert video is limited to just ten songs (the television broadcast was much longer). For a more complete review of the Russian tour, see the special edition of Root Beer Rag, Billy's then-newsletter for his fan club, with some great photos from Mary Ellen Mark. 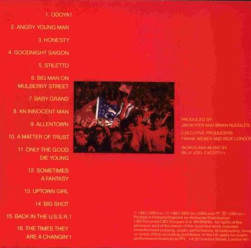 The album did feature Billy's first officially-released cover version of other songs as a solo artist ("Back In The USSR" and "The Times They Are A-Changin'"). UPDATE: In 2014, Sony's Legacy Records announced a new remastered version (and name) of Billy's Russian concerts on CD and MP3, a new DVD/Blu-Ray, and new documentary (DVD). These were entitled "A Matter of Trust: The Bridge To Russia." This is the package for the Russian tour that fans have been waiting for for 25 years. They contain more songs and an 80-page booklet in the Deluxe Edition. For a YouTube playlist of some scenes from the documentary "A Matter of Trust" and excepts, click here. CD back cover. Photo: Neal Preston. Billy performs Bob Dylan's "The Times They Are A Changin'" on Russian television in 1987. The song is on Kohuept. Some light-hearted scenes from the documentary about Billy's tour in Russia, from "A Matter of Trust. Promotional poster from release of Kohuept in 1987.